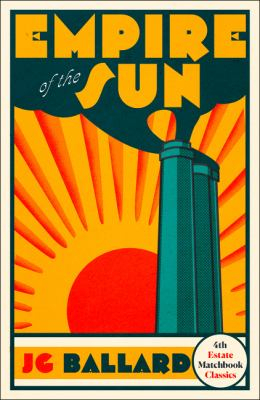 Empire Of The Sun - ubiq bookshop: the best place to buy books! The classic, heartrending story of a British boy's four year ordeal in a Japanese prison camp. One of the ten books - novels, memoirs and one very unusual biography - that make up our Matchbook Classics' series, a stunningly redesigned collection of some of the best loved titles on our backlist. Based on J. G. Ballard's own childhood, this is the extraordinary account of a boy's life in Japanese-occupied wartime Shanghai - a mesmerising, hypnotically compelling novel of war, of starvation and survival, of internment camps and death marches. It blends searing honesty with an almost hallucinatory vision of a world thrown utterly out of joint. Rooted as it is in the author's own disturbing experience of war in our time, it is one of a handful of novels by which the twentieth century will be not only remembered, but judged.